Knobs | Ooh, my favorite! 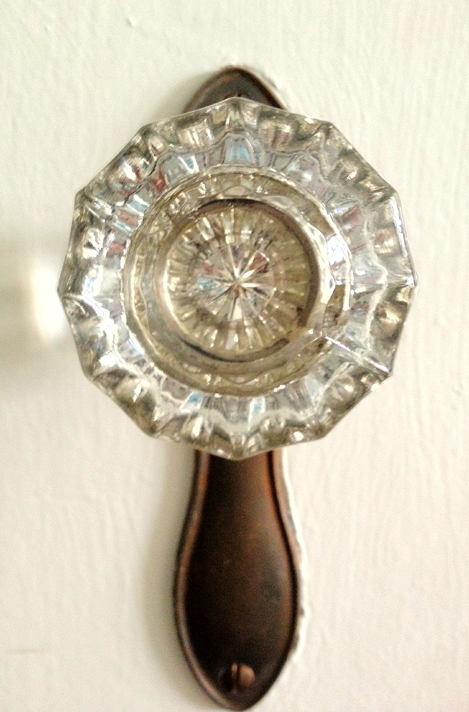 One of my very favorite touches in my apartment are my antique glass doorknobs. Why did we ever move away from these? 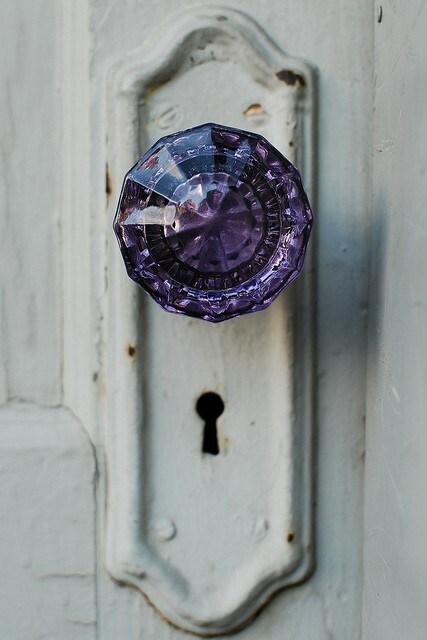 When even opening a door can be made more charming and special, why?! 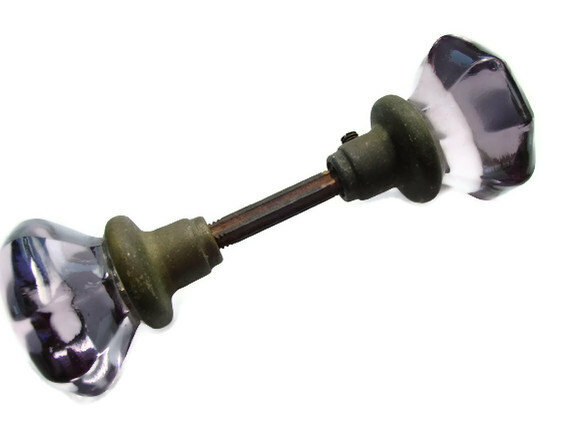 My little rant on cheap, mass-produced door knobs aside I had no idea there were other options available for antique glass…like amethyst! (Apparently most everything before 1913 was sun-colored amethyst and after the 1930’s the color and style had changed and were machine-made.) This guy here is for sale on Etsy. Gorgeous!